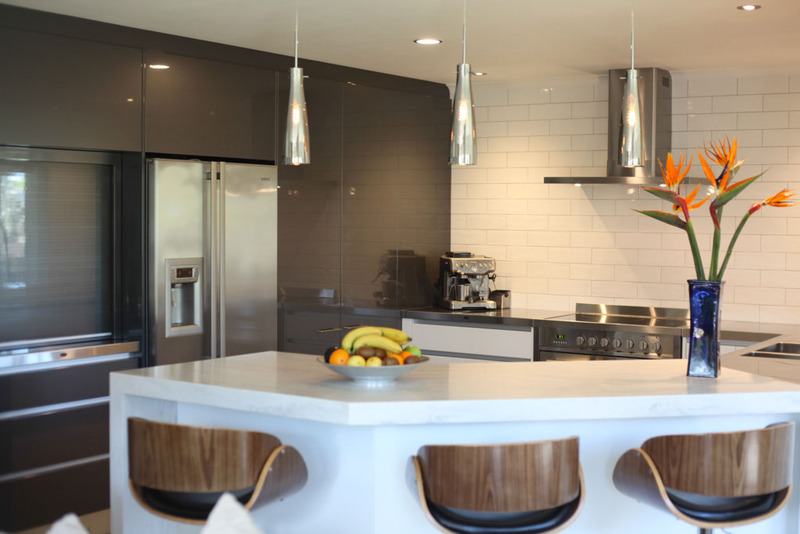 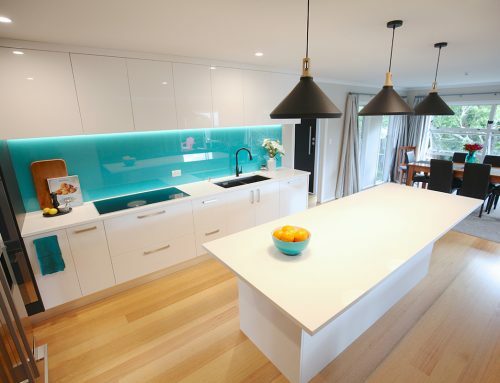 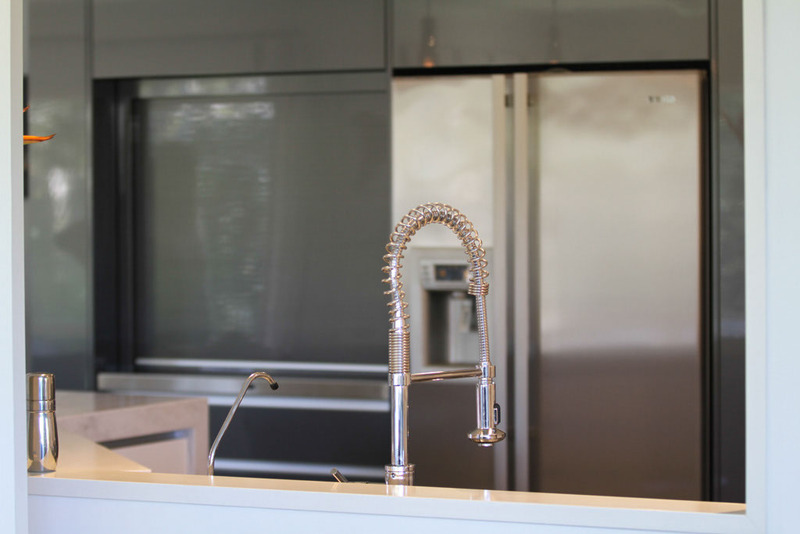 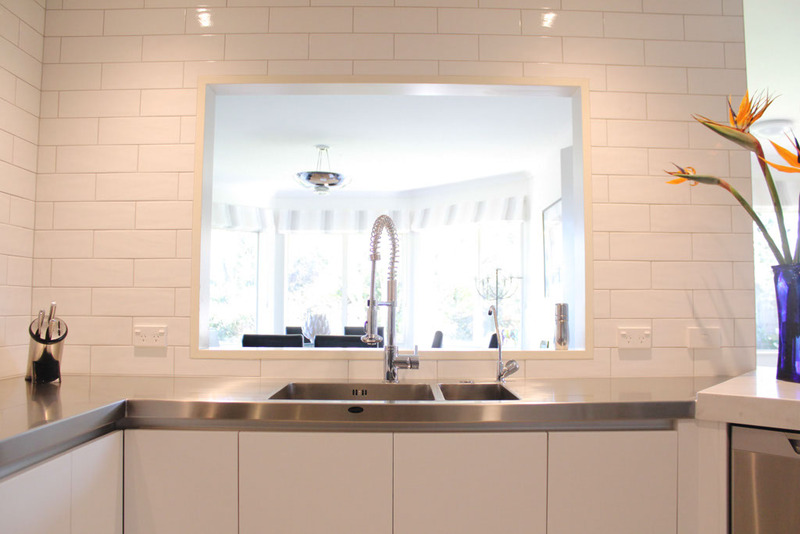 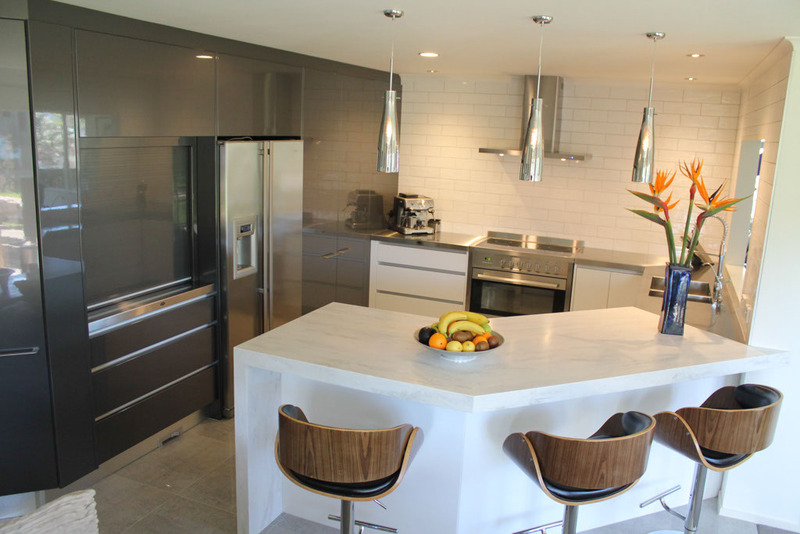 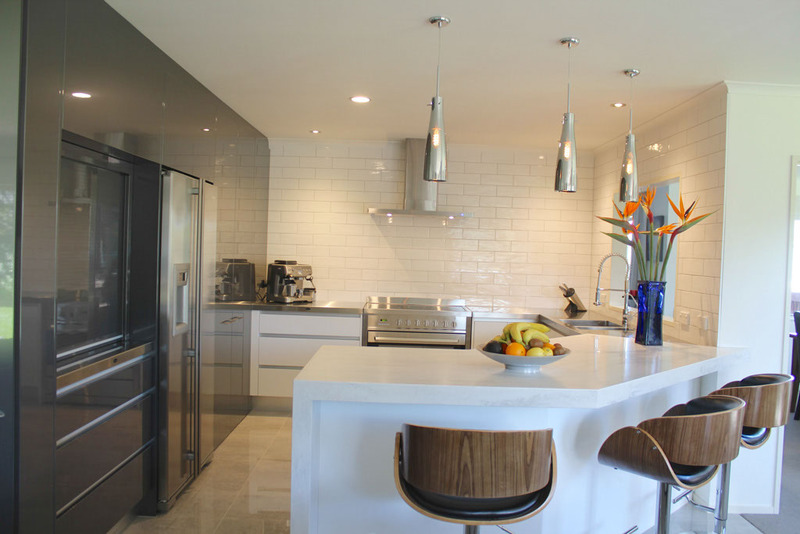 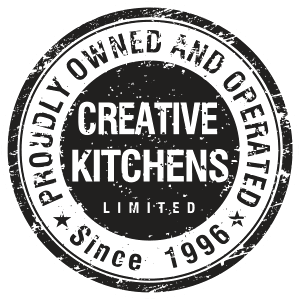 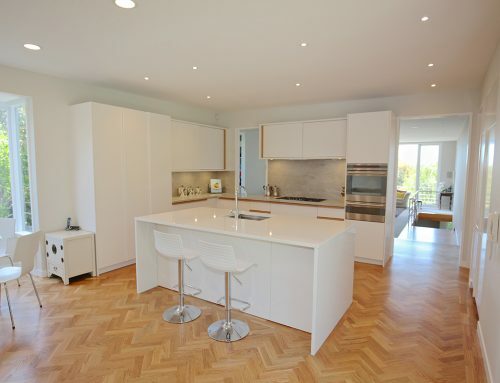 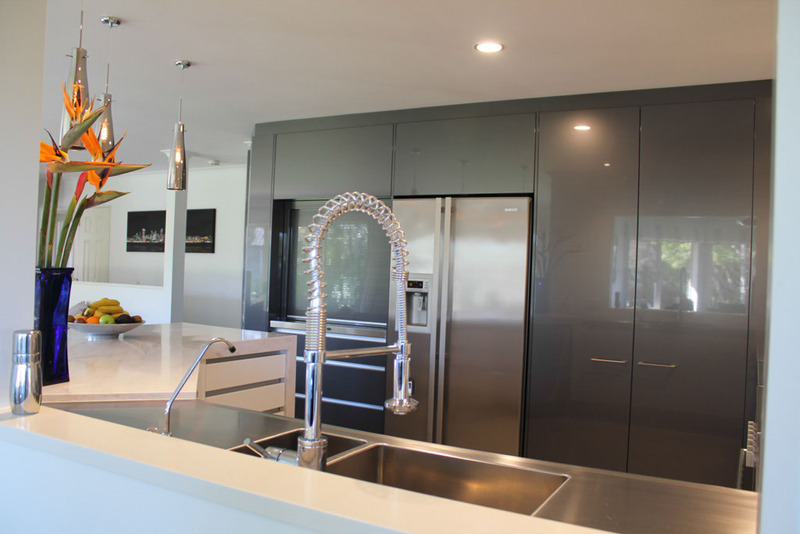 A client in Beachlands approached Creative Kitchens for some ideas on redesigning their kitchen. 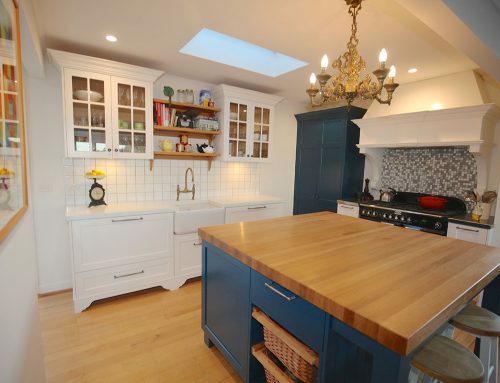 The Creative Kitchens team responded to the challenge with a cozy design that made the most of the limited space. 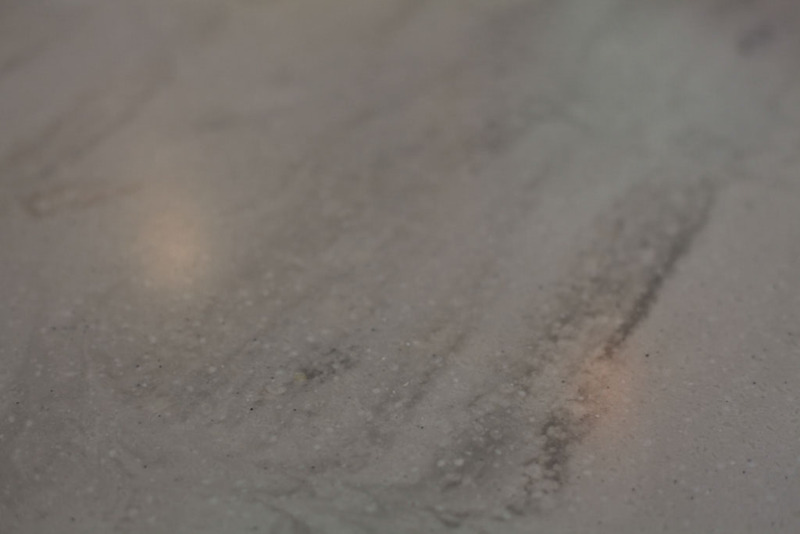 The bench is 50mm brushed stainless steel which features an anti-spill surface. 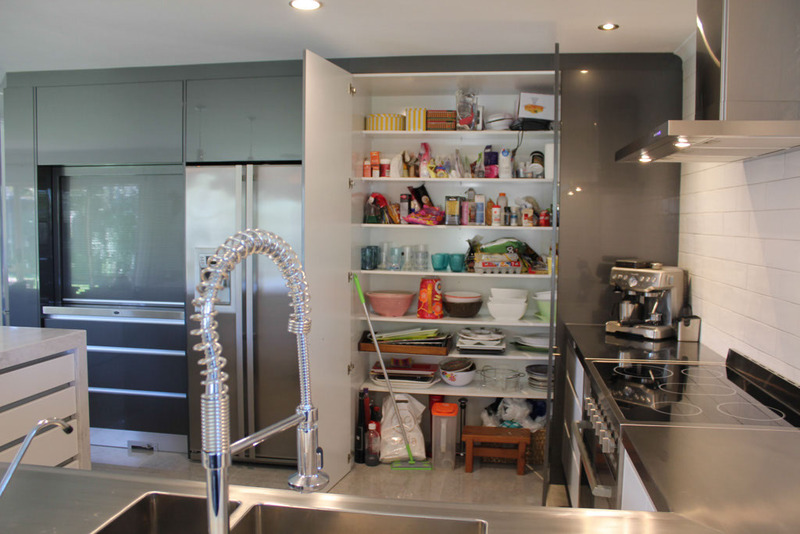 It’s designed in such a way that it encloses the kitchen, giving it a cozy environment. 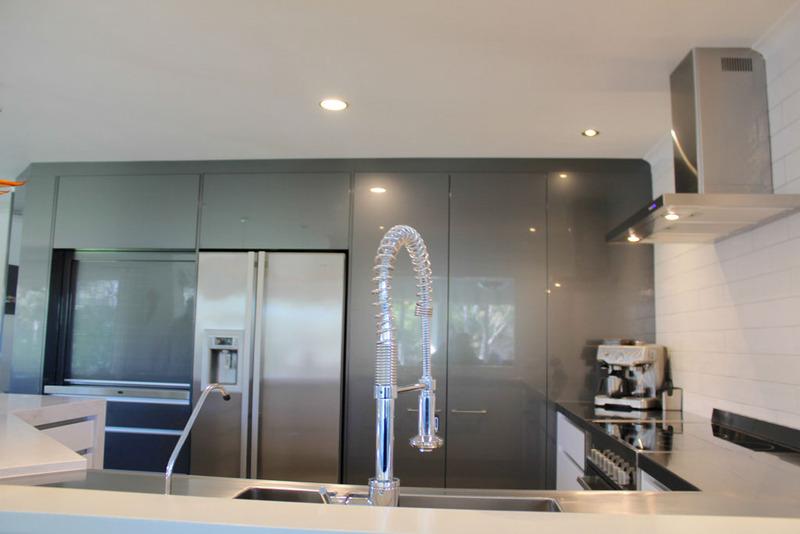 The benchtop has a marbled appearance due to the use of 70mm acrylic Corian Raincloud, and has been designed with an angled top and a waterfall end. 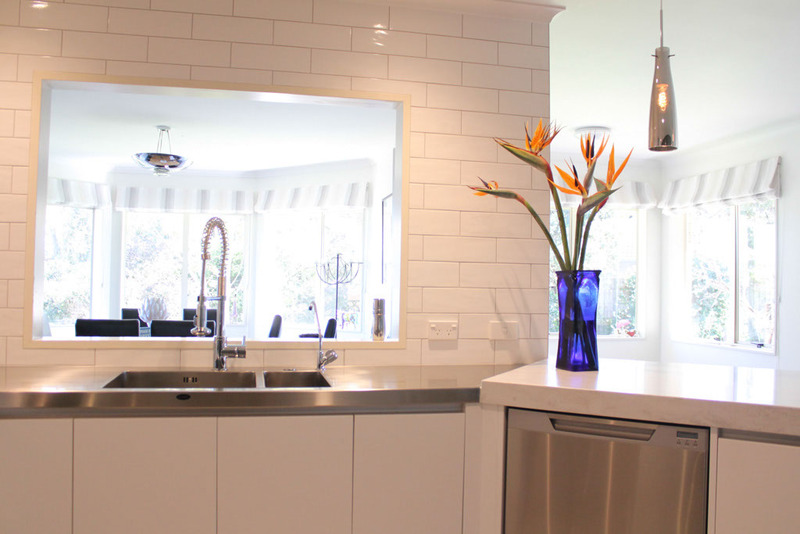 Cabinets were constructed to extend up the walls, and the carpet was exchanged for white tiles that matched the wall colour. 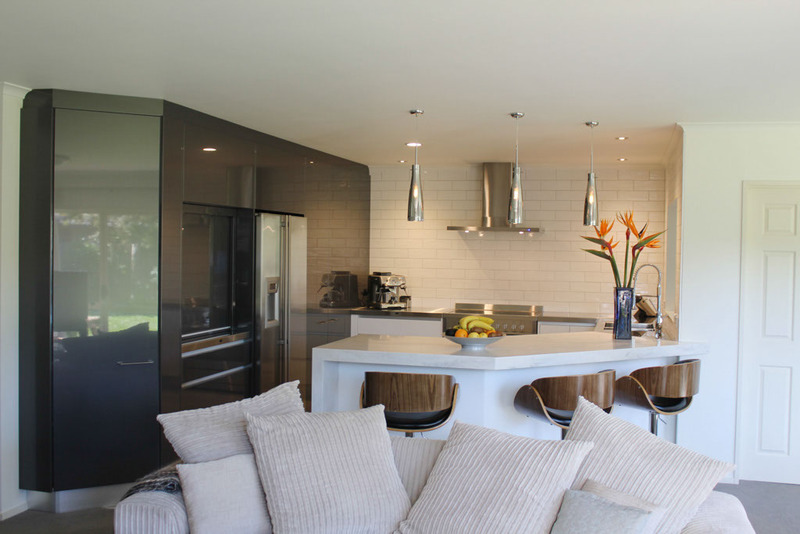 This further added to the idea of the contrast between the kitchen and the surrounding living area despite it all being in the same room. 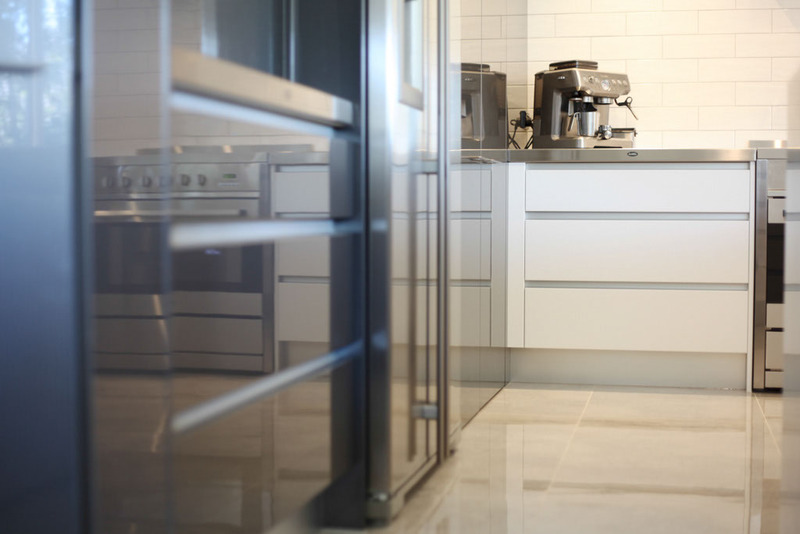 Soft close Blumotion runners and hinges were selected, and the drawers were also given Aluminium Gola recessed handles so that there were no obvious handles to be seen. 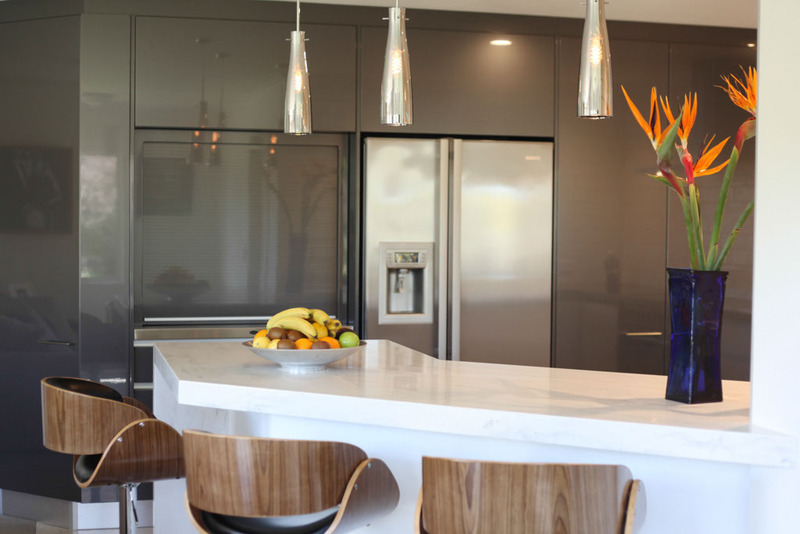 The whole look is completed with two-tone colouring in Dezignatek White Satin and Dezignatek Gunmetal Gloss, both of which combine to create the illusion of a bigger space in which to create meals and memories. 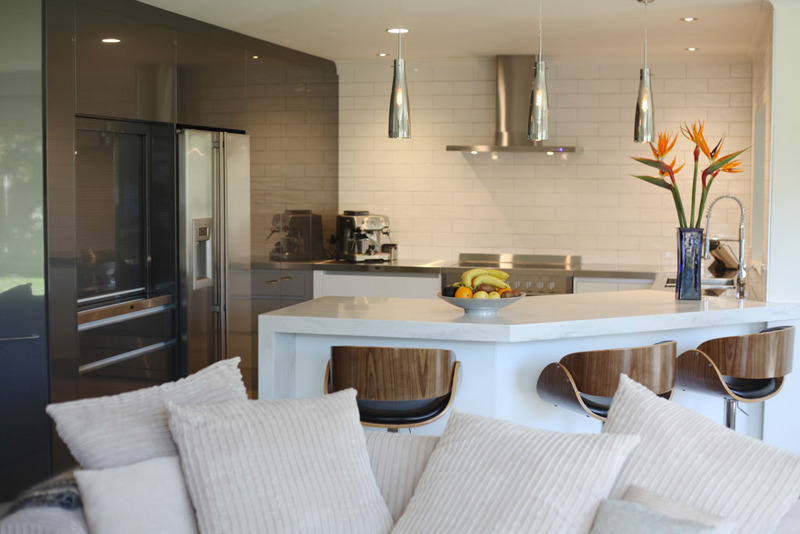 The result is a kitchen which makes the most of the cozy space without cluttering the area.